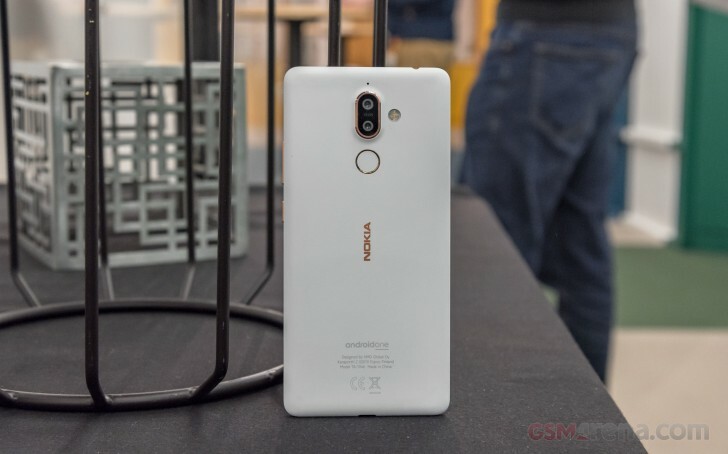 Nokia has 4 new phones for the Mobile World Congress 2018 - the Android Oreo (Go Edition) Nokia 1, the Nokia 7 Plus, the Nokia 8 Sirocco and the already-announced Nokia 6 (2018). 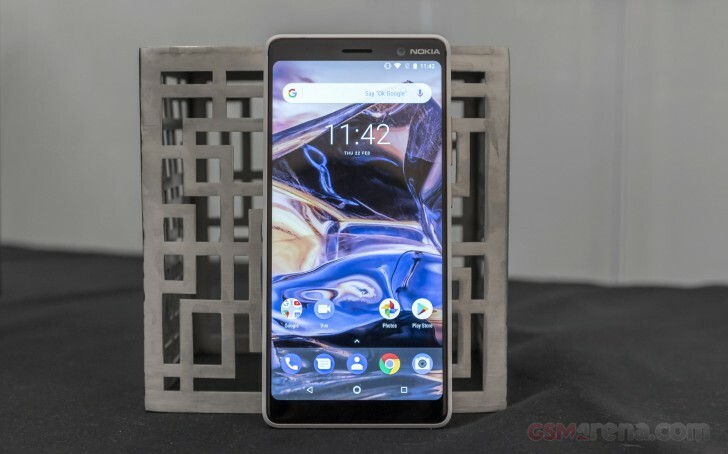 The Nokia 7 Plus is HMD-owned Nokia's first 18:9 smartphone and is also Nokia's first Snapdragon 660-powered phone. It has a 6-inch 2160x1080px IPS LCD which is both polarized and laminated, and promises 500 nits of brightness and 1500:1 contrast. The Nokia 7 Plus is machined from a single block of aluminum which then receives 6 layers of paint for a ceramic-like finish. The result is a phone with a soft-touch, grip-friendly finish and hidden antenna lines. It will come in either Black or White with Copper accented frame, camera, Nokia logo and buttons. On the back of the Nokia 7 Plus there's a new dual camera system with a 12MP main camera with large 1.4um pixels and a bright f/1.75 lens and a second 12MP 2x telephoto camera with a 1.0um pixel pitch and a f/2.6 lens. The selfie camera is a new 5MP snapper with the same large pixels as the main camera - 1.4um - and a bright wide-angle lens - f/2.0, 84-degree FOV. All three cameras have the Zeiss branding. The Nokia 7 Plus uses the Snapdragon 660 chipset with 4GB of RAM. There are 64GB of onboard storage and a microSD card for storage expansion. The Nokia 7 Plus will be available in both single and dual SIM variants starting at €399 this April. 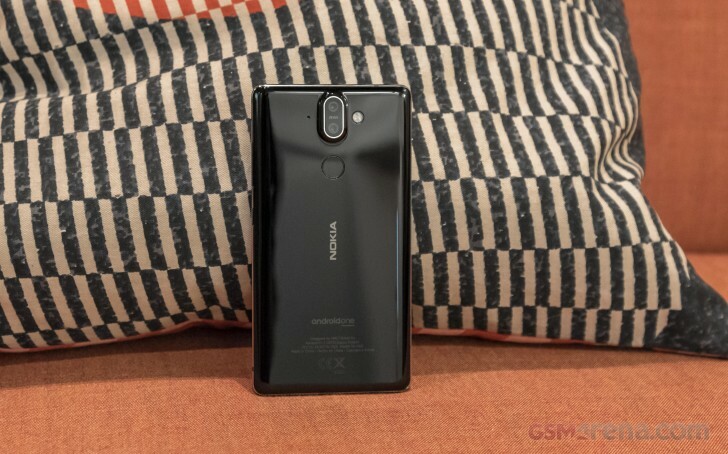 The Nokia 8 Sirocco is technically a more premium version of the Nokia 8 but in practice is much closer to a new phone altogether. 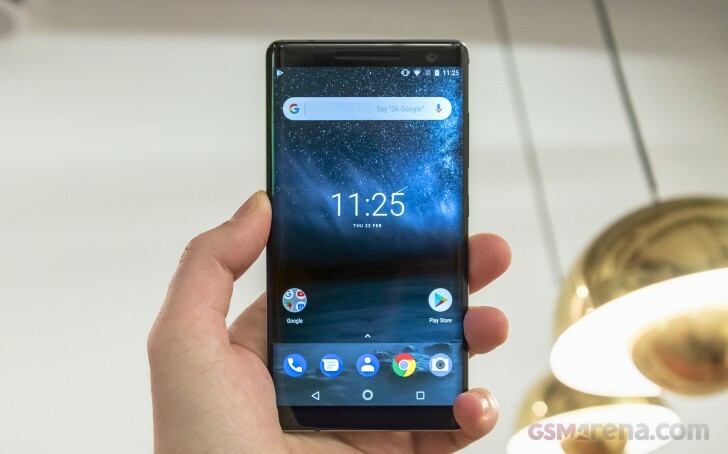 Where the Nokia 8 used a 16:9 5.3-inch LCD of QHD resolution, the Nokia 8 Sirocco uses a 16:9 5.5-inch QHD p-OLED display. The chipset is still a Snapdragon 835 mated to 6GB of RAM. The Nokia 8 Sirocco does away with the aluminum back of the Nokia 8 and uses Gorilla Glass 5, front and back. The frame in-between is stainless steel. Thanks to the use of glass on the back, the Nokia 8 Sirocco supports Qi Wireless Charging. The Nokia 8 Sirocco is also IP67 water and dust resistant, compared the IP54 splash resistance of the Nokia 8. Finally the dual camera system has seen a complete overhaul. The Nokia 8 Sirocco now uses the same 12MP regular and 12MP wide camera of the Nokia 7 Plus. I like the wannabe tech guys. They always know better. Please tell us all, why snapdragon 835 is not good this year? Oh, cause sd845 is out? Wow, now that's....a good reason. Stop acying techie kid, all you know is pretty much? Names.